The swimming pool season is about to begin! Call us to book your Pool Opening. 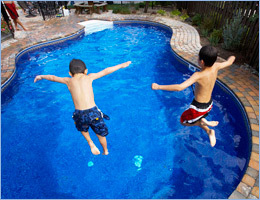 We’ll get your pool set-up and ready to go! * Solid Covers must be drained and cleaned. * No vacuuming of the pool bottom.